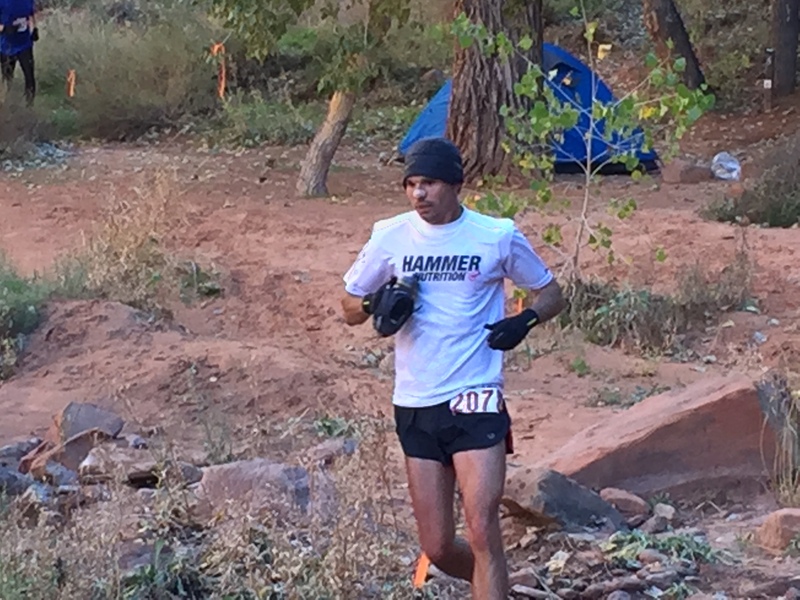 The Moab Trail Marathon is a spectacular course covering 26 miles and includes canyons, cliffs, ropes, ladders and fierce competition. Like last year, the race is the US National Trail Marathon Championships and I wanted to improve from my previous 13th place. All of these photos courtesy of Myke Hermsmeyer. Please visit his website Myke Hermsmeyer Photography and follow him on Instagram. 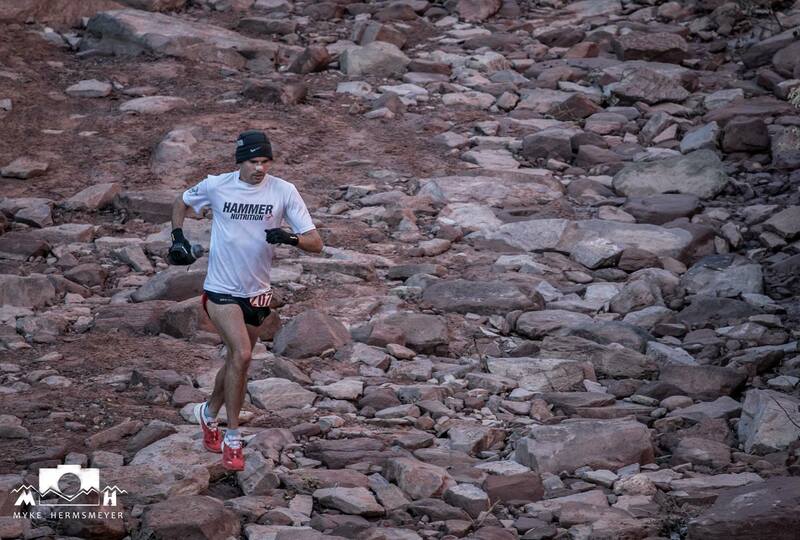 The elite field of athletes was deep and included several US Mountain Running team members and national champions. About 10 guys were competing for first place and to go top-20 would be a huge accomplishment and that is what I set my goal as. I went into this years race feeling very fit from a dedicated training block with more specific training than I have ever done. However, I wanted to race smarter this year and a bit more conservatively the first 6-8 miles which is exactly what I did. I ran with Megan Kimmel, the 2014 and 2015 women’s winner and multi-time national champion, for several miles until she took off ahead of me going up Scorched Earth Wall. I was in about 25th place as I ran across the technical desert terrain hoping to pick off several runners in the second half of the race. 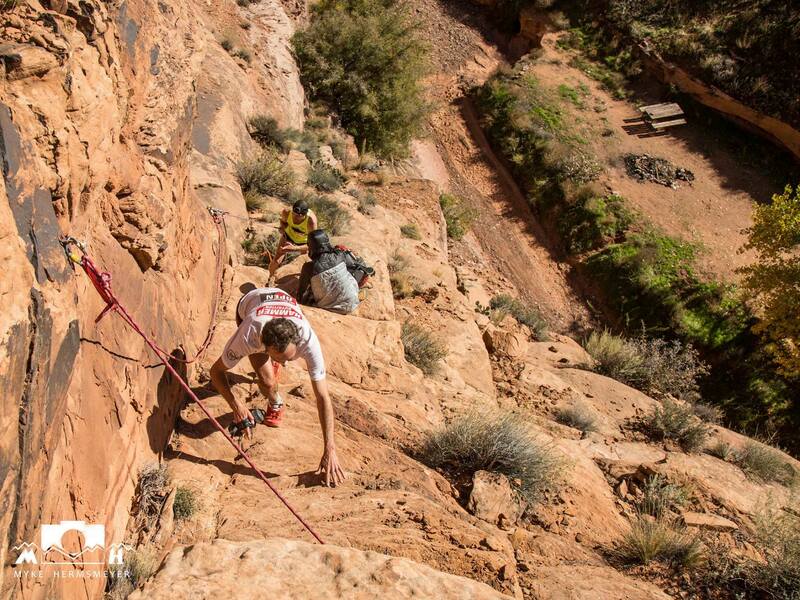 The race consists of fixed-hand lines and ropes, ladders and quite a few technical sections to navigate through. Since I wanted to finish near the front, this meant running quite recklessly through many sections which is both scary and fun at the same time. After mile 20 I began to pass other runners. I felt stronger and faster than last year but did not feel the need to push myself nearly as hard. I did not want to go into the pain cave as much as last year or during this year’s TNF 50 miler. I mostly wanted to cruise to the finish with a good time and a smile on my face. I was able to do just this as I picked up the pace the last couple miles. I sprinted towards the finish in 18th place overall and with a time of 3:31:58. Overall, I’m really happy with the race and my recovery has been incredibly quick. Fast enough that I’m contemplating a 50 miler in just a few weeks. A huge thanks to my sponsors, Hammer Nutrition, Altra Running, MacroLife Naturals, Correct Toes and to all the volunteers who helped with the race! 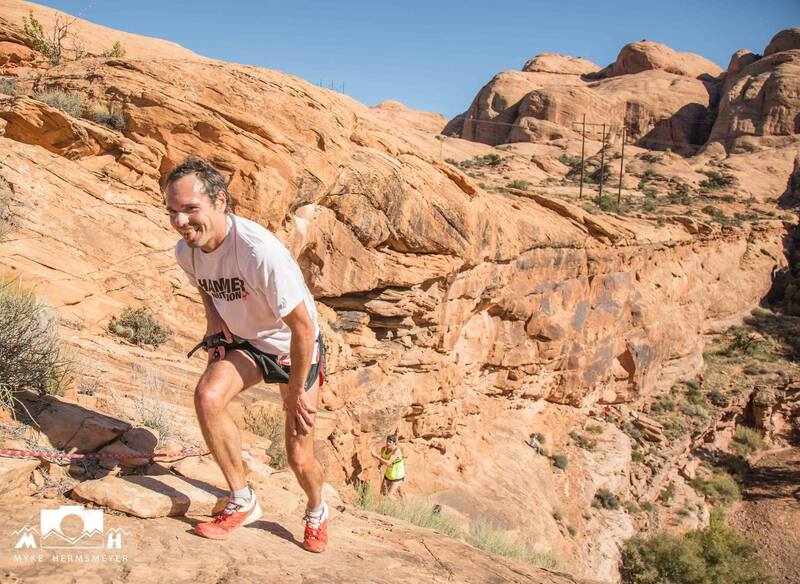 This entry was posted in online running coach and tagged coach, marathon, moab, race, review, utah by Wholistic Running. Bookmark the permalink.